If you’re thinking mango + chocolate is an objectionable combination, I hear you. I was’t too hot on it to begin with. Until I found, bought, and demolished this chocolate bar last week and BAAAAM! I was blasted off the ground. It was delicious! Tangy and punchy, bitter yet sweet, and oh nom nom nom. 1. Mix the whey, cocoa, coconut flour, mango juice, and milk in a bowl until you get a kind of dough you can shape with your hands into bars. Shape either four small bars out of this ‘dough’ or two bigger ones like mine. 2. If you’re having trouble shaping the mix, just dry it up with a bit more coconut flour. If it’s too thick and crumbly, ‘moisten’ it up with some extra milk. 3. Once all the bars are shaped, melt your dark chocolate in a bain marie (i.e. a glass bowl on top of a pot of boiling water). 4. When the chocolate has melted, dip the bars in there using a spatula or your hands. 5. Sprinke with freeze dried or chopped mango (I used freeze dried!) This is totally optional but highly recommended because it adds an extra texture and additional ‘mangoness’ to the bars. 6. Finally, place them on a plate covered my aluminium foil (or baking paper) and transfer them to the fridge for a couple of hours or to the freezer for 30 minutes or until the chocolate sets! Note: To get a clear picture of how the bars are molded and coated, follow the general guidelines in my Protein Bar Ebook – an ebook that features my absolute favorite protein bar recipes (which by the way, to answer a question I’ve gotten emailed a lot: no, none of those recipes feature on this blog! None of the ones in my cookbook do either.) Also, check out this video I made (and subscribe to the channel if you want to get notifications when I upload new videos). 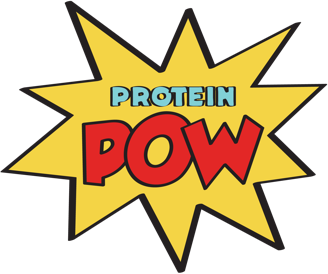 PS: Don’t forget to download the Protein Bar Pack from my Protein Pow App!